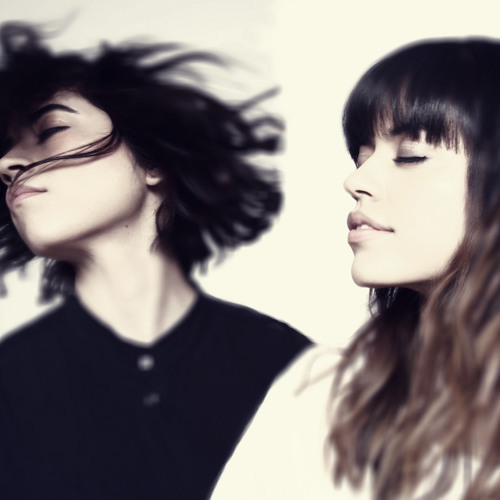 Vic and Gab are a song writing sister duo whose childhood hobbies in music have become their passion in life. Their music lingers in a mix of indie pop/rock genre with sweet harmonies, hooky bass and guitar lines that reflect their musical influences. Originally from Texas, with just over a year of living in the Milwaukee area, the sistershope to spread their music in their new hometown. Victoriah and Hannah Gabriela, picked up the bass and guitar at the age of 11, by their teens they had developed a compilation of songs they had written all through high school. Songs about love, tiny little victories, disillusionment and heart break that became lasting chants among their peers. Heavily influenced by the music their father played when they were kids, Vic and Gab have found their own style and unique sound. Bands such as Rush, Supertramp, The Cars, and The Police to name a few have made an impact on the girls. As their music taste progressed Tegan and Sara, Death Cab for Cutie, Shout Out Louds and Coconut Records are among their favorite bands. No strangers to the stage, Vic and Gab have been performing since they were fourteen in coffee shops, block parties and local festivals. The girls have recently found their way into the Milwaukee music scene in local venues and radio shows. Their biggest gig? Definitely, being featured on SKINS! Ecstatic about what the future may bring, Vic and Gab anxiously await new experiences coming their way!